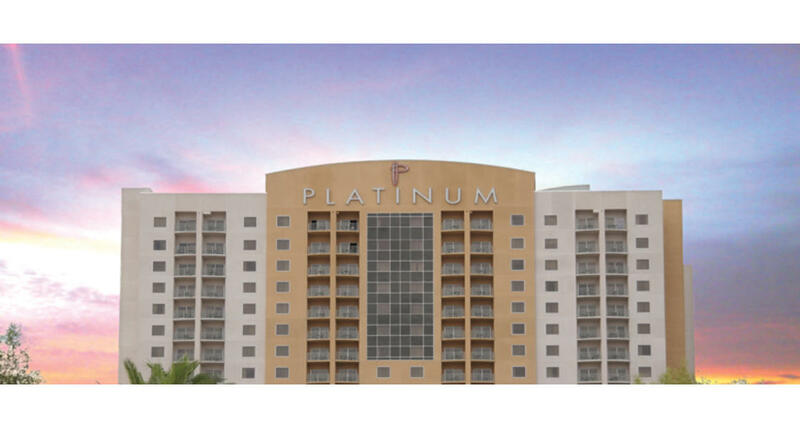 Located just one and a half blocks from the Las Vegas Strip and 10 minutes from McCarran International Airport, the Platinum Hotel and Spa offers both residential units and hotel accommodations. There are over 200 one and two bedroom, fully furnished suites, complete with a living room and a full kitchen. In addition, the property offers indoor and outdoor pools, firepits and cabana beds. The WELL spa is a 4,200 square foot spa featuring wet and dry treatment rooms, state-of-the art fitness facilities and rooftop yoga & pilates, and many other treatments. For events and meetings, there is a 3,000+ square foot rooftop terrace, designed for weddings, receptions and events accommodating up to 250 people.